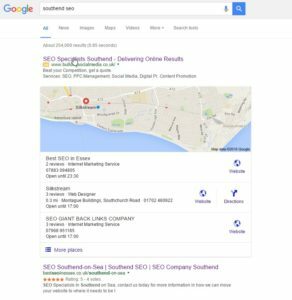 Hello, and welcome to Best SEO in Essex, operating in Upminster where we are aiming to help businesses expand their operations and exposure to potential customers using Search Engine Optimisation. For more information about our SEO Upminster services, please complete Our Contact Page, or if after reading through the below you feel that SEO is right for your business, then we thoroughly recommend completing our Discovery Form to speed up the entire process. One of the many questions we've been asked in the past - 'Do you outsource any of your work?'. The answer is no, we do not believe in cutting corners, or looking for shortcuts. We understand that SEO is a long-term investment that a company makes in us and in doing so we want our customers to know that we do is our own. Our aim as an search engine marketing company is to increase awareness of your business through various forms of internet marketing. With the decline of traditional marketing methods such as Yell and Yellow pages, it is even more important in use the internet to expand your brand and company. What Is SEO And How Can It Benefit Your Business? 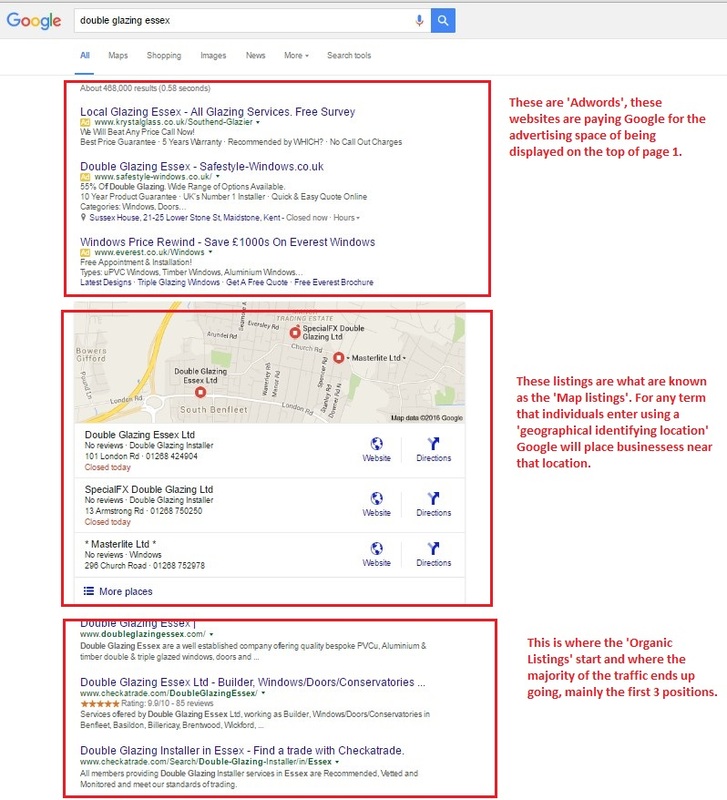 Search Engine Optimisation is a technique that SEO Consultants use to understand the search engine algorithms (Google, Bing, and Yahoo) and how they organise their listings in an ordered ranking process – how do they determine what websites rank where in their listings? There were directories, which webmasters were advised to add their website in and then the directories would be able to list them when visitors wanted to search for brands or services. As the internet was expanding at an exponential rate initially this made the whole process no-viable. It was then that a company called ‘Alta Vista’ attempted to create a ‘spider’ or ‘crawler’ to crawl websites and create an indexing service to enable the first algorithm to produce a list of relevant websites, based on the user’s search query. Alta Vista eventually lost ground to an up and coming search engine that produced superior results – Google and was subsequently purchased by Yahoo in 2003. The initial algorithm Google developed mainly concentrated on what each page of a website was about by crawling the ‘Meta Data’ then the content on the website. Say, for instance, you were a scaffolding company based in Upminster and wanted to have your website attract potential customers looking for a scaffolding firm in Upminster, it would crawl your website looking for words that mentioned ‘Scaffolding and Upminster’ somewhere on the page, or in the Meta Data. Early SEO consultants in Upminster would have then been able to spot the connection between websites on page one and the amount of times the main phrase ‘ Scaffolding Upminster’ was listed on the website pages that were listed on page 1 of Google for that query, and adjust their clients scaffolding page accordingly. The problem with this was that the websites that were listed on page one, looked terrible from a user perspective and the way they read were awful. Google noticed this and redefined their on-page ‘Panda’ algorithm, several times to make sure that the websites that were listed on page one were eligible for the users. They have since redefined the Panda part of their algorithm so that the main phrase isn’t really used more than 5%, otherwise, there could be an over optimised penalty. We cannot really see Google changing this anymore, as the page has to have the ‘Keyword Phrase’ someone a few times at least to provide sufficient indication to Google and the other search engines as to what that page is about. As of the end of 2015, Google has openly stated that they aren’t going to update their on-page algorithm – Panda anymore. And then along came the Penguin updates…while Google had been updating their Panda algorithm, they also tied a second part of their ranking algorithm to look at the links that each website was getting. Prior to 2011, Google had simply used a simple voting system in ranking websites, by use of ‘Links’ directing back to a website (in case you do not know what a link is, click on HOME PAGE to return to the home page). This was based on the idea that the more links your website has, would mean that people are naturally linked to your websites and consequently telling Google that your website was important and should be ranked highly. An SEO Agency in Upminster would then be able to notice that if they were aiming to rank a website, it need links directed to the website. Even better, if the anchor texts if the links were related to the phrases that their clients were wanting to rank for, in our case, a link with the anchor text ‘Scaffolding Upminster’ would be highly valuable. SEO agencies at the time, exploited this loophole and a number of them were able to use automated software to send thousands of rubbish links with the exact match Keyword Anchor text. This got websites ranked very quickly, that was until Penguin 2.0 emerged! Penguin 2.0 virtually killed off those websites that had been ranked using this method, the Search Engine Ranking Positions (SERPs for short) literally changed overnight. Now any SEO marketing Agency in Upminster must keep up with how Google changes their ranking algorithm and not create websites that have ineligible content with the overuse of the main Keyword Phrase and not produce too many links back to the website with targeted anchor text phrases. And Why Is Page Of Google Important, You Ask? In a room of 30 business owners, you will find that 100% of them have used Google several times over the week. Simply put, to progress and be at the forefront of modern marketing techniques in the 21st century your business need a website and you need it optimised by an SEO Upminster Company if you want your business to flourish and grow. You will notice that that phrase brings back, Adwords, Map listings, and organic listings. Although we predominantly conduct organic SEO and map listing SEO, we can set up Adwords campaigns, provided that any client fulfils our criteria for an Adword campaign. 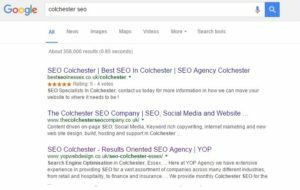 What SEO Services can Best SEO In Essex Provide Business Owners In Billericay? 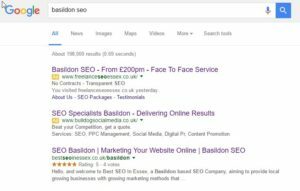 As SEO Providers to any business in Upminster, we are highly approachable and will go through the entire process using Internet Marketing to attract targeted customers to your business using our services. We highly recommend that you complete our Discovery Form Application before we can move forward with any application. The Discovery Form allows us to grasp the overall picture of your business, how it is faring from an internet perspective, how serious you are about your overall marketing and how we can substantially improve your business, leads, and revenue. Once the form has been completed, an SEO Specialist will be in touch to get a better understanding of your companies needs given any marketing budgets. *No two SEO campaigns are the same and each will be different with various degrees of difficulty for each of them, therefore, it is impossible to provide any quotes over the phone without the form being completed. Keyword Research - We conduct a thorough Keyword Research, looking at all the possible ways to drive targeted directly to your websites for phrases that people are actively using to find your services. Once this has been conducted, it will determine the amount of work required on your website to lay the foundation for your SEO campaign and how your on-page SEO should be set-up. Off-Page - With strong KW research, we are able to then plan ahead targeted KWs to use when building links to your website. This is an on-going and constant requirement to achieve page 1 rankings and eventually #1 rankings. If You Are Interest In Our SEO Upminster Service, What Then? If you're a business is operating in Upminster and you want to gain more customers and increase your revenue year on year, then get in contact with us and get to know how our services will greatly provide that exposure that you want. If you are serious about using our services we recommend completing the form located on the Discovery Page to really enable our SEO Specialists to have a better understanding of your requirements and marketing budget. So contact the SEO professionals in Upminster today by visiting our contact page, or our Discovery page.